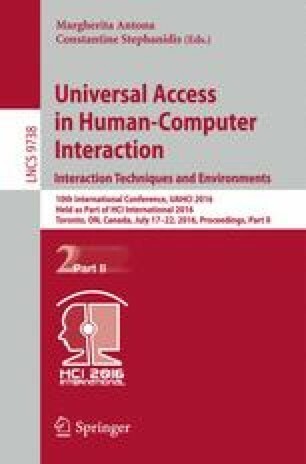 This paper presents the design, implementation and evaluation of a wheelchair simulator, which is controlled by a noninvasive Brain-Computer Interface device. We use the eye blink to control the control interface. Two experiments were conducted to evaluate the Simulator’s utilization quality. The results showed that it is important to have a training phase or eye blink calibration, and a module for recognition of voluntary and involuntary blinking. The adopted scanning system for the wheelchair driving and the collision system were well accepted by the participants.